Millions in verdicts and Settlements! We get results for our clients with millions of dollars in both verdicts and settlements. Why settle for Less? With decades of collective experience, LeFevre & LeFevre, P.L.L.C. 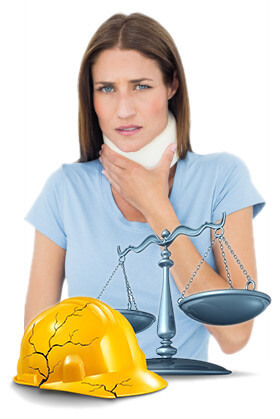 personal injury group represents accident and injury victims throughout the state of Michigan who suffer from injuries caused by the negligence of others. If you or a loved one has been injured due to an accident, or because of a defective product, you may be entitled to compensation for damages, lost wages, and medical expenses. It’s important that you know your rights, and it’s equally important that you choose a lawyer who will aggressively and effectively fight for those rights. At LeFevre & LeFevre, P.L.L.C., our attorneys are also trial lawyers, an important distinction not all attorneys can claim. As trial lawyers, we have the in-depth knowledge, hands-on experience, and courtroom skills to handle your case from beginning to end, even if a jury trial becomes necessary, to ensure the best possible outcome for you. GET THE MOST FROM YOUR CASE! We put you and your needs first. We will represent you and your family in an manner that will make you feel comfortable in your time of need. Please contact us to learn more about protecting your best interests. Contact a LeFevre & LeFevre, P.L.L.C.